In this fourth post of our blog series based on the 90-day Success Plan Course, we cover how to be extremely productive whilst having the time to create music AND have a life! Yes, indeed! In the previous post we discussed how to create a streamlined and manageable schedule. In this post, we show you how to actually stick to the schedule and get great results, AND your time back. WHAAAAT? Yes, you heard right! In post two we discussed how to achieve your goal without overwhelm, or at least manage that feeling of *arggggggh! * and feel more in charge of things. Have a look at it here. The first post shows how to create a plan, the first step towards success in this series. If you haven’t seen it yet, check it out here. At times you may struggle or even procrastinate when moving towards your dream goal. Even though things are starting to make sense, getting all of that done is still not ideal. Nuh-uh. I mean, you’re here to make music – for crying out loud – you’re also here to make sure your fans and audience are entertained and moved. You may want to make positive changes in the world AND make an EXCELLENT living from your craft. Can I get a yes, indeed? 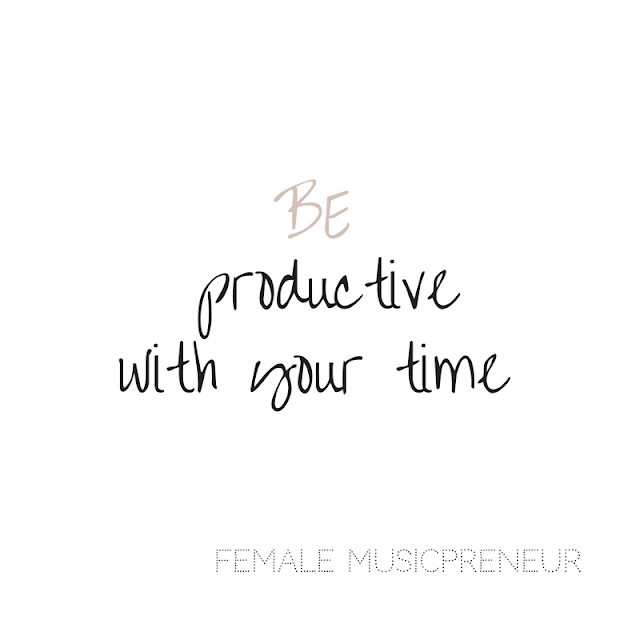 So, let’s discuss HOW to be productive with your time. 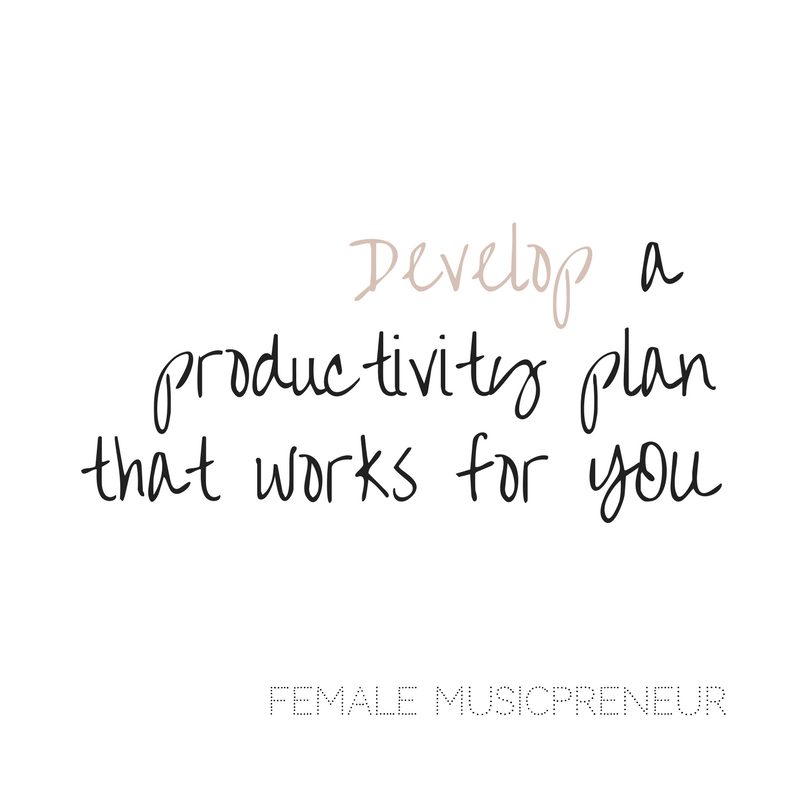 Develop a system in which you can set yourself up for amazing productivity. For example, consider what you already do to prepare for a productive recording session or music practice session. Next, think about what you can do to get you into the right mind frame to do the bits that you don’t really want to for the tasks you have set. I have a system that works from the moment I wake up. It involves meditation, working out, getting dressed for the day – or not! ;), brekkie, then my office routine. This means, wake up routine >> work out routine >> office routine. A 3 step flow. I set myself up to have a successful day that flows according to my aims and desires. It flows better this way. Doing so allows me to finish in time to do my music and other things I REALLY love because its my dream flow, which means I’m happy to do it! Because of this, I’ll be more productive than if I tried to accomplish things without structure. It’s easy to get too lax as a creative, so I have to be extra conscientious of my daily moves in my work space! In addition, you have to be firm – with yourself first, and with anyone else who may distract you. S T I C K to your schedule! 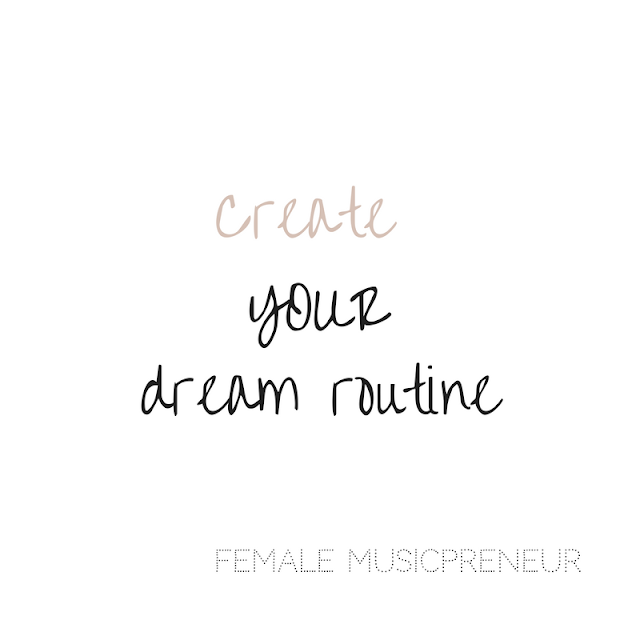 Hopefully creating YOUR dream routine will work for you, too. Batching is the bee’s knees! Back in the day, I did batching before it was called batching. I was able to get a lot of work done and use my time effectively. For instance, two areas that I had to figure out were PR time and rehearsal time. I slotted in PR and rehearsal blocks around my daughter’s schedule, or my show and tour schedules. PR time was a necessary time dedicated to taking me further! I also did the same with content creation for newsletters, blogging and vlogging. I did it with admin, such as for paying taxes, collecting money, book-keeping, and royalty stuff, as well as for marketing. I devised a strategy to make it work. And it did. I’d often hear from people that they didn’t ‘get’ how I did it all. Needless to say that, apart from a being a mega determined overachiever, I did it by having an airtight schedule and concentrating solely on one activity at a time. Batch by blocking out non-negotiable time blocks in which you can disappear and make magic happen. 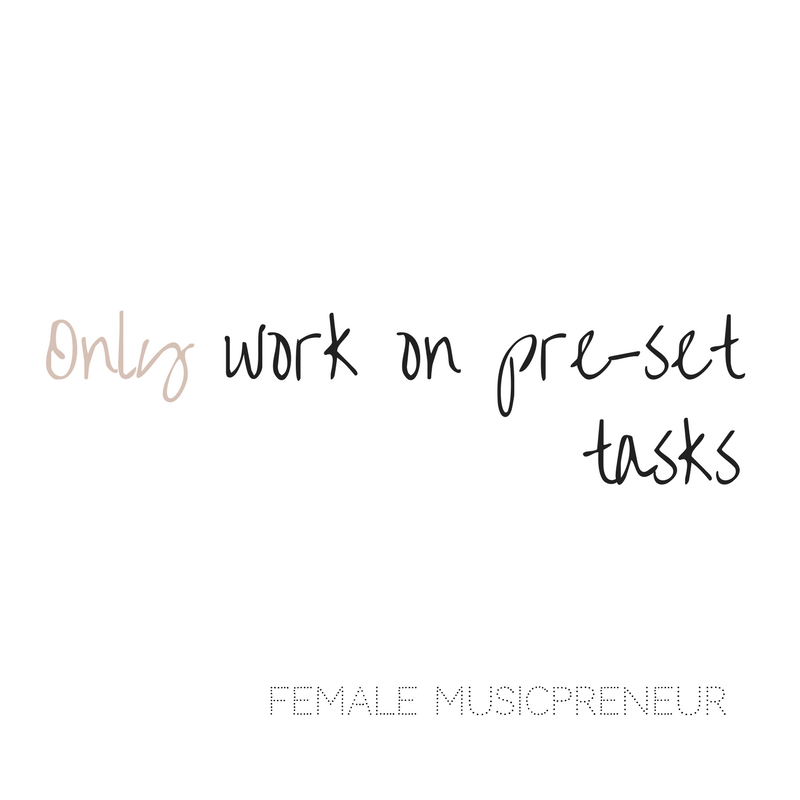 Just use each set block of time to do one thing, or a lot of the same thing e.g., your finances, blog posts, income making tasks, research, social media content creating and scheduling (like creating AND scheduling 3 or more months ‘content in 30 mins to an hour – I KID YOU NOT! ), and more. This means ignoring anything else and not letting anything other than the task at hand (and on the schedule for this particular date and time) distract you. If you did the recommended activity in part 2 correctly and listed ALL of your possible activities and duties, barring an act of the Universe, nothing else should get in the way of you and your end goal. However, as life goes there will always be something unaccounted for that pops up unexpectedly. When that happens, if it is not a life or death scenario, park it. Place it in your to-do-list to go over during your next review. Then continue with the task at hand. ‘Tis truly that simple. Own your precious time and be ruthless with distractions. I promise you, it works and you will feel better for it. Once you get into the routine of intensely focusing on a task, you’ll feel as light as a feather! The next tip that helps immensely with productivity is doing each task in short bursts. Try it. 20 minute or 30 minute bursts. I know it sounds crazy. Why so short? 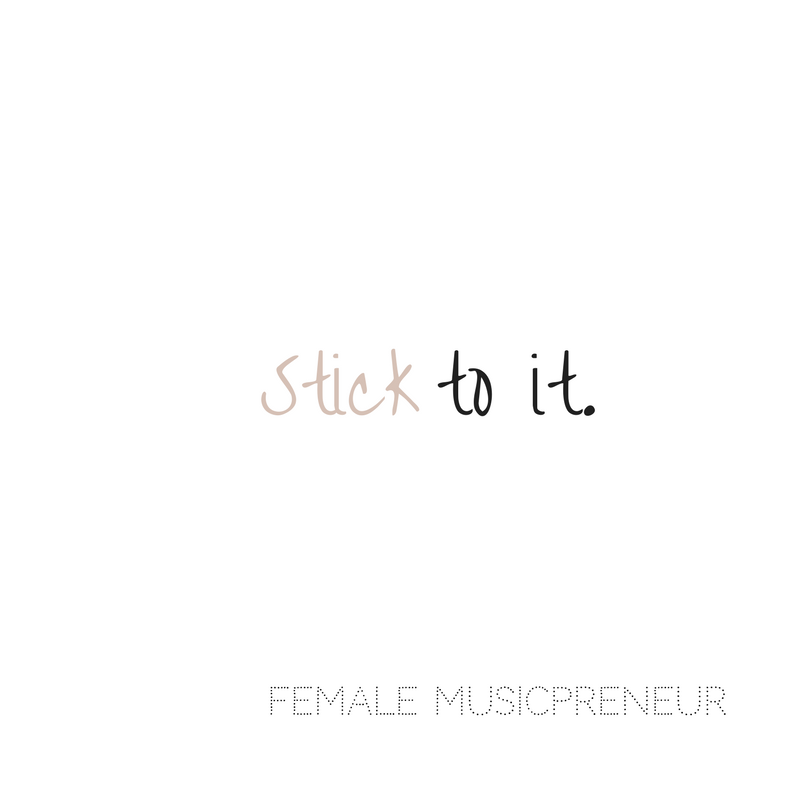 Because it’s already a challenge and you want to stay focused. Too long, might leave you wanting to walk away. Eventually you’ll be able to get loads done in 10-30 minute spurts. I promise – practice makes perfect! Now, after each short work spurt, have a short break. I like to throw shapes for 5 minutes with either one of my fave ME-POWERment songs (Fighter by Christina or the like) or a New Edition/ NKOTB/NSYNC or Flashdance-esque track (don’t judge me). My song choice will vary depending on the mood, so might be an 80s track, House track, TLC, or whatever makes me happy and forget about anything stressful for a short but sweeeeeet time. 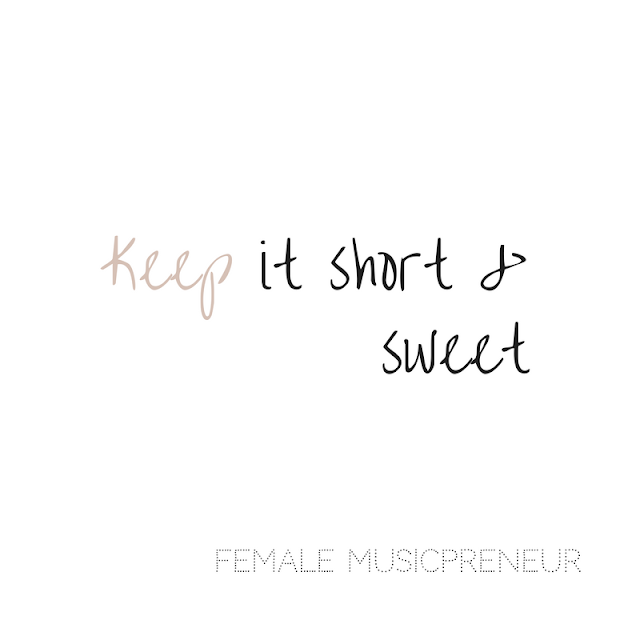 The point is, I just like to have short breaks and shake it off for a minute. I’ve also been known to run around the block, do sit-ups or do guitar runs. Now remember, I’m all about living YOUR dream life. That stuff works for me. I love to dance, workout, drink a real cuppa, and play music and find all of it fun. SO choose something that works for YOU! Set a timer for your work spurt. Once your work period is up, set another timer (5 or 10 minutes), then do something totally different during that time. Whatever that something is, make sure it works for you; let go and enjoy the moment. Life is to be enjoyed. ‘k? Once you get into the productivity flow for YOU, you’ll find that you are achieving your tasks and have more time to do other things. Like life things. BONUS! To give you an example of how this approach can really help, I can start my work day (I work weekdays only) at 10 am (consisting of biz and music stuff) and finish by 2 or 3pm if I want. I meditate and workout for 2 hours in the morning. I find self care VITAL. It has a lot to do with keeping myself energised, staying on it, and LIVING life. 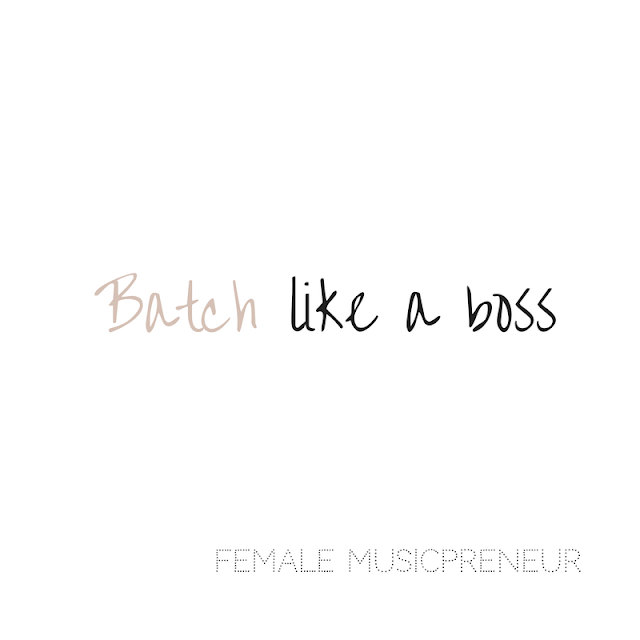 I’m a full-time student (3rd year law), I own an LLC and run businesses as vocal coach, music licensing company & label owner and music biz success coach, AND I’m a professional musician, composer, singer (oh, and mum to a grown up who ALWAYS texting or calling me about something!). 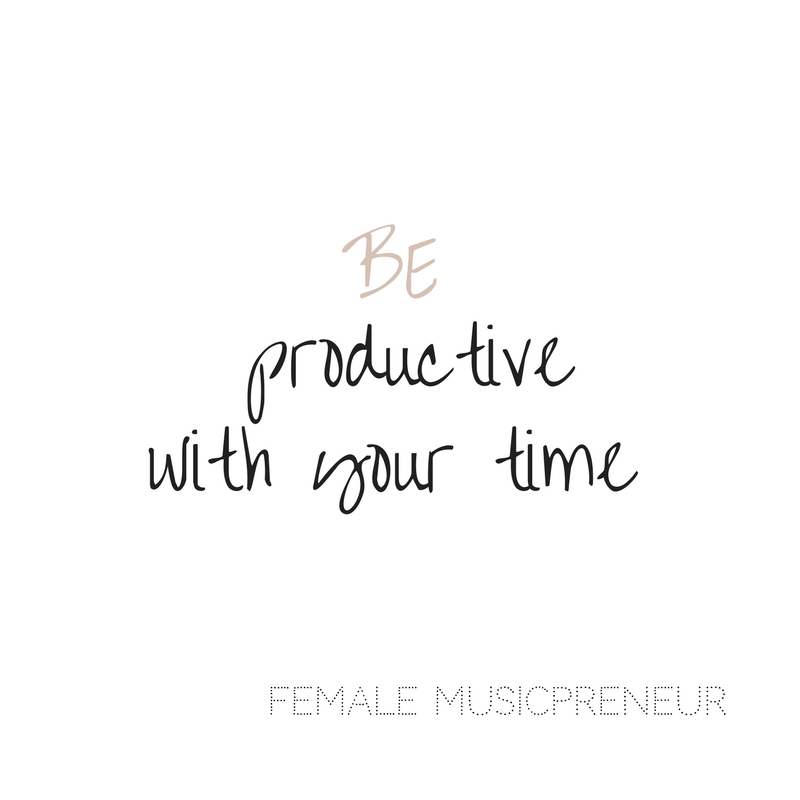 I make sure to have a full hour lunch break, a set break and those regular mini breaks throughout the day too. So this means I ‘work’ on business for about 2 hours max a day. This is all possible with a good productivity plan. This gives me time to do all the other things I love. I have a short attention span. This affliction normally occurs when I am not being mentally stimulated. In order to stick to anything – particularly a routine (B.O.R.I.N.G! ), I find that regular breaks are vital. When I was lacking in energy, feeling oh-so-low, de-motivated, or lost the will to go on, I’d either power nap for 10 minutes, meditate for 10 minutes (as I had insomnia), make a cup of tea (of course) or a green smoothie – yes, I LOVE kale), or take a step outside for a brisk walk or drive. Also, I mentioned earlier, one of my faves is to put on timer and a song I love and dance. I bargained with myself that I’d get that ‘treat’ provided I got through that 30 minute segment of graft. This did wonders and I’d get through. Generally, I find that as long as I’m doing the ‘right’ things that stimulate me and valuing my energy and stress levels, my productivity goes through the roof! It’s amazing. I actually have to FORCE myself to stop. What rewards could you bribe yourself with? 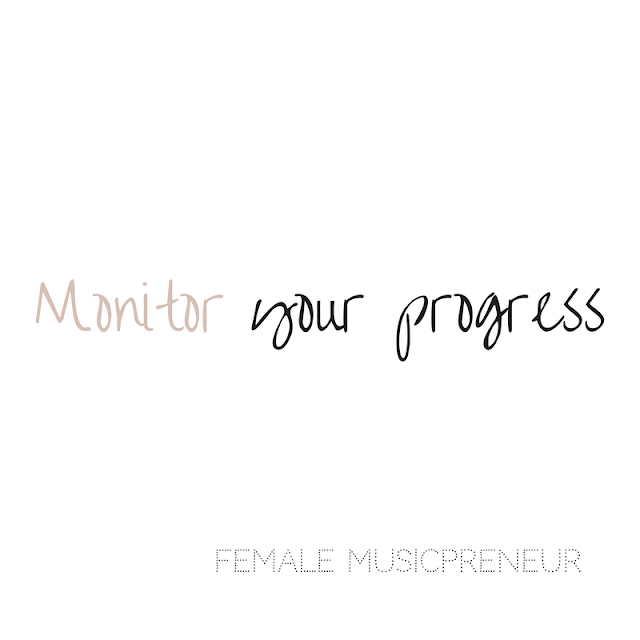 The most important part of this, I think, is monitoring your progress to ensure that it’s all working. Ways to monitor include assessing your output, achievements, returns, or income. It all varies depending on your task, but in most cases, and with the right approach and plan, you should be able to tell soon enough if what you are doing is effective or not. This will save you from spending time on things that don’t serve you and, yes, free up your time! This can also help you with procrastination. 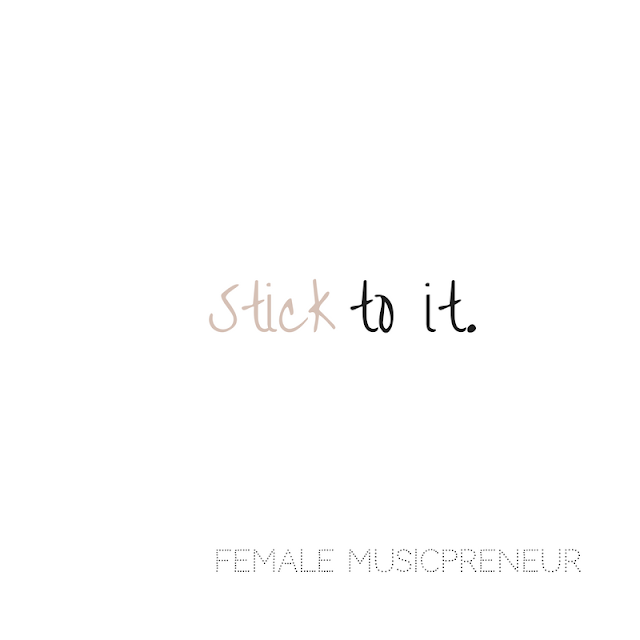 You see, if you KNOW what isn’t working, if it isn’t something you like to do anyway, you can ditch it. You’re more likely to be excited about things that you know are working for you and moving you towards your goals. 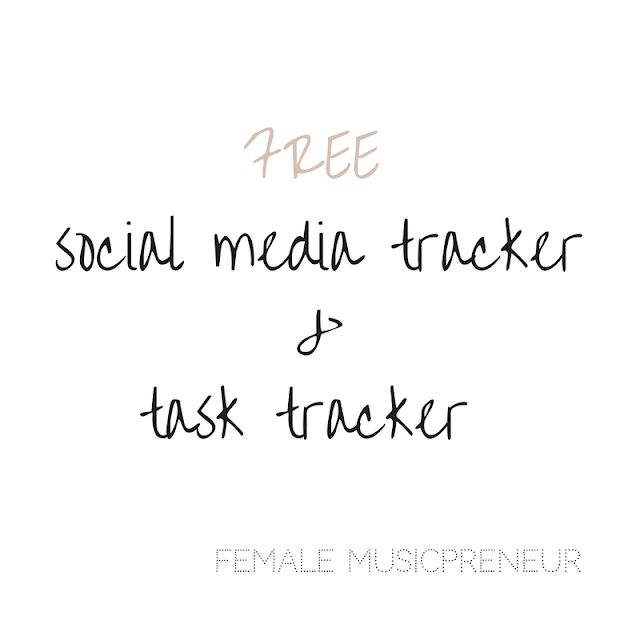 SOCIAL MEDIA TRACKER AND TASK TRACKER BUNDLE! have assurance that you are moving in the right direction. know exactly what to do that is right for you, every step of the way. save TONS of time and energy by getting straight to work instead of faffing around feeling helpless or that there’s not enough hours in the say. get to creating when you like and for fun – instead of it feeling like a chore because of the business stuff you have to do to get ahead. be free to make music knowing all the back office bits are handled. *Hurrah*! feel so much better (health wise and life-wise) and have spare time! Your family and friends will love you. For your free social media tracker and planner bundle, CLICK HERE.